The last week and a half has been a blast. 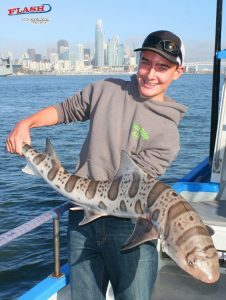 What a variety of targets with great scores and quality. 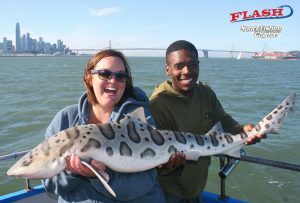 The top action is the large leopard sharks. They are biting like mad dogs and putting up a great fight. 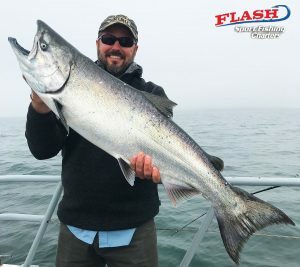 The salmon is on and off but when it is on we are landing big fish to 35 lbs! 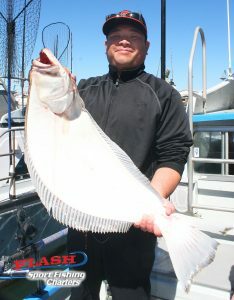 Last week we had some slower tides and the halibut that are in the bay now were chomping and big! 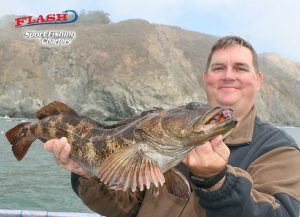 We did do a ½ day rockfish and ling cod trip for 3 fishermen. 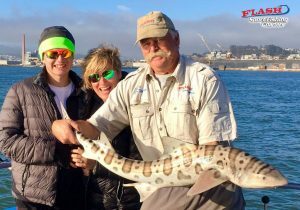 They had a blast landing quality blacks, browns and a big ling cod. Enjoy a lot of great photo from the last few trips.